A few years ago Aaron and I made a very poor business decision and lost $55,000 (yes, you read that right). We were incredibly stupid. I was cleaning up some old posts and thought you guys may enjoy reading about my stupidity. If you want to start a business, I highly recommend reading this post that highlights the factors that can contribute to business failure. Yesterday was clean out the garage day for Aaron and I. It should have been go to the lake day. I bring this up because of why we had to clean out our garage. About four years ago Aaron and I were approached by a friend looking for business investors in an eBay company that resold shoes. Our friend had extensive experience in the industry and had been an eBay reseller for years. I’m not a business expert, but I know how to read financial statements and the numbers looked good. They weren’t blown out of proportion with enormous gains and our friend let us know this was a 2-3 year investment at minimum. We were excited to try something new and even though we were in the middle of our debt reduction journey decided to invest $15,000 (mistake 1). We pulled the money out of our emergency fund (mistake 2) and went for it. Because of some external factors, we ended up owing the company shortly after. It wasn’t what we had planned, but we decided to run with it and see what would happen. Our friend continued to manage the company with the expectation that he would be able to purchase the company from us at a later date. In the meantime, we set up a profit-sharing system to counterbalance the fact that it should have been his company. The problem was that we didn’t treat the company as “ours”. In our mind, it was still his company, we got involved on the rare times when he asked for advice, but for the most part, let him manage everything (mistake 3). Fast forward a year and the numbers were looking pretty decent. We are consistently turning a small profit and sales were increasing monthly. Our friend felt like it was time to take the business to the next level which meant a cash infusion. We reviewed the historical numbers, looked at the proforma’s and decided to put in an additional $25,000 (mistake 4). We also allowed him to increase the company credit card to $15,000 (mistake 5). With the line of credit, our liability was now around $55,000. Our friend also invested $25,000 shortly after. Taking the business to the next level also meant our friend couldn’t run it out of his home, which meant we needed warehouse space. We signed a lease and all of a sudden our monthly expenses increased exponentially around the same time as the cash infusion (mistake 6). This meant cash was diverted from purchasing product. On the other end rent, utilities, insurance, employees and other overhead costs increased. It ended up creating the perfect storm. The industry is very cyclical and timing your sales cycle is critical. We could never get our sales high enough to be able to order product early enough to get it listed and sold in a timely manner. At the same time, our friend had emergency surgery and some personal issues that diverted his attention. This meant lack of oversight at the warehouse, more employees, and higher overhead. Aaron and I should have stepped in and filled in the gaps, but we were both dealing with our own work issues. More importantly, we didn’t have the knowledge to help as needed (mistake 7). Six months ago, we closed down the business and ended up with somewhere in the area of 800 shoes to stuff in our garage. Last week one of our plastic Tupperware bins broke. It was on the bottom of a large stack of bins, so all the bins went tumbling down. They knocked down the 50-gallon water barrels (which should have been full), which in turn knocked down the bikes, which in turn knocked down another stack of shoes. It wasn’t pretty – I wish I had thought to take pictures. It is probably a good thing the bin collapsed since it forced us to face cleaning the garage. This event forced me to face why we were cleaning the garage. There is nothing worse than sending an entire Saturday stacking shoes with the realization that your $55,000 investment is now down to 800 shoes. Unfortunately, there is no way each shoe is worth the $68 I’d need to break even. At this point, I’d be willing to sell each set at $10-20 just to get them out of our garage. Let me know if you are interested in purchasing a few pairs. **Editors note: I’ve slowly been selling the shoes via Thredup, I’m not making much money, but at least I’m getting rid of them. If you have used clothing it is a great way of earning a bit of extra money. I spent the day thinking about all of the mistakes we made managing our business. It was a long day, so I had plenty of time to review all the mistakes we made. I’ve read extensively about the main causes of business failure and wasn’t happy to realize I had made most of the same mistakes. If you are thinking of starting a business please learn from our mistakes! 1. Treat your business like a business from the beginning. Our biggest mistake was assuming our manager knew what he was doing because he had been in the industry for years. He knew the industry inside and out, but that didn’t mean he knew how to run a business. His business decisions were all based on his proformas and what he thought was going to happen, not the actual real world numbers. He was incredibly smart but just didn’t have the knowledge and skills needed to be making business management decision. I picked up on his lack of financials skills pretty quickly but didn’t take the time to either teach him these skills or step in and do it myself. As the company owner, I should have been there every step of the way giving him guidance and providing the training he needed. He would have picked up the skill very quickly. If I had given him the business knowledge he needed, when combined with his industry knowledge there is a good chance this post would be completely different. Both Aaron and I had the mindset that it was his company. When you own a company even if it is by accident you need to treat it as your company. It was my responsibility to manage the company, not just bury my head in the sand because I was busy. We never took the time to create a formal budget. We had proformas, but there was never a system for turning the proformas into a budget. More importantly, there was no accountability in following the proforma/budget. We would review the performas and think everything was going great, but as true business people know, your proforma is just an educated guess (or even an idealistic wish). You can make a proforma say anything you want. The true picture only comes when you compare your actual sales to your proforma and make financial adjustments based on what really happens. Then you readjust your proforma and go through the process over and over again. I remember my grandpa saying years ago that after putting together your budget, you need to double your expenses and ½ your expected income and then rework your numbers. When it comes to a new company I think this advice is spot on. Proforma statements are just a guess and if you base all your decision on them and don’t adjust them as you gain real-world experience you are flying blind. If you are going to be a business owner you need to know every detail of your company. As you grow you’ll be able to delegate, but most entrepreneurs start out doing everything themselves. When you are intimately involved in the day to day management of a company you gain a sixth sense for potential issues. Aaron and I didn’t have time to manage the company, so we left everything to our manager. Admittedly we didn’t plan to own the company, but still, we should have known every detail of what was going on. We should have known how to manage and run the business on our own. When our friend had a family emergency we couldn’t step in and help. Aaron had a general idea how to manage the day to day functions, but I didn’t have a clue. At that point, I was working 50-60 hour weeks and quite frankly didn’t have the time. Since I never bothered to make the time, I lost $55,000 – not a good decision. 4. Do your research and then do it again. If you are thinking of starting a business do your research. When I say research I’m talking deep research. Read every resource you can, listen to podcasts, talk to industry experts. Don’t just learn about your business field, learn about how to run a business. Your goal is to become an expert in your chosen field. When we were first approached with this investment opportunity I spent a lot of time reading up on eBay business and how they work. I asked a ton of questions and really looked at the numbers. What I didn’t do was actually talk to people (besides my friend) in the industry. There is only so much information you can get online and getting your information from only one source is never a good idea. I should have interviewed people and based my decision on multiple sources instead of internet stories and someone who wanted my money. 5. Separate business from your personal life. I highly recommend proceeding with caution when starting a business with a friend or family member. I will never do business with a friend again – particularly a friend with family relations. I know our friend had the best intentions and honestly believe he tried to make the company work. He sold his house and invested $25,000. He wanted this to succeed as much as we did. However, since he was a friend I never felt completely comfortable questioning his business decisions. I never felt like I could be demanding and require certain things. Our friendship muddied the water and decreased the overall efficiency. Companies need to have clear boundaries between employees and managers. I mentioned this briefly above, but we should have been meeting monthly to review financial statements and make future goals. It is really hard to make accurate business decisions when you don’t have the full picture in front of you. Business decisions need to be made on facts, not guesses and positive wishes. 7. Hold true to your personal ideals. You should run your business the same way you manage your personal finances (if you manage them effectively). I am very structured in my personal finances. Aaron and I follow a budget and hate debt. This is something I’m firmly committed too in my personal life, so I’m trying to figure out why I thought it should be any different in my business life. My gut feeling was to say no when my friend came to me wanting to open a credit card in the company name. I knew it would not get paid off on a monthly basis and yet I ignored my personal beliefs and gut feelings and opened the card. When we closed the company writing the check to pay off that card (which had a balance of just under $15,000) from my personal funds was one of the hardest things I did. I’m glad we had the money to pay it off, but pulling my hard earned money from my emergency fund/savings account totally sucked. 8. Major management decisions need to have some type of approval process. Always set up policies and procedures for financial decisions. As the owner, you are often responsible for the financial mistakes of your manager. After we closed the company we found out that our friend had signed a contract with an alarm company. It was a 3-year contract that we would never have approved. I knew he had an alarm system, but thought it was a month to month contract, not a long-term contract. We should have had an approval process in place for anything that would in-debt the company. Now we are left trying to get out of the contract, which if you’ve ever worked with an alarm company you know how messy it can get. Editorial note: It took us 3 months of fighting with the alarm company to get out of the contract. I highly recommend choosing your alarm contracts very carefully. 9. Monitor your staffing requirements very closely. Do not hire employees until they are absolutely necessary. The expenses associated with employees can skyrocket very quickly. Take the time to hire the right employee for the right position. When we moved into the warehouse we hired three employees. They were all part-time workers, but they were hired with the expectation that our sales would increase. The sales increased, but not at a level to justify 3 employees. We should have leaned up as soon as sales leveled off rather than keeping extra people with the expectation of keeping them busy in the future. Always keep your staff as lean as possible. 10. Put everything in writing. After the company became ours, we prepared a basic operating agreement but never updated it as things changed within the company. I have a few random emails from our friend but the vast majority of the organizational changes we made were all done verbally. We didn’t take the time to get everything in writing. Big mistake. Everything needs to be in writing. I have a ton of excuses for why it never happened, but honestly, we just didn’t want to spend the money. Hindsight being 20.20, the minimal amount of money we spent could have potentially saved us thousands. I now use Legal Nature for all of my organizational documents and legal paperwork. The small amount I pay is worth every penny. If you have a phone conversation put the relevant points in an email and send it out to all parties. If someone commits to something get it in writing. It didn’t happen if it isn’t in writing. It is really hard to hold someone to a commitment when you don’t have their commitment in writing. This list is just the tip of the iceberg. 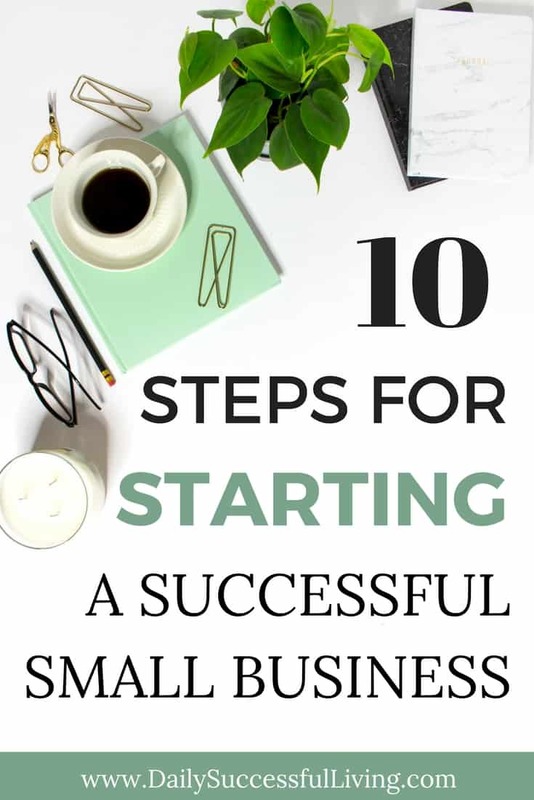 I could easily write another 1-2 pages detailing the mistakes we made with our business and the keys to small business success. The most important thing I learned was that failure is just a stepping stone. My goal is to learn from my mistakes and when I open my next venture put policies and procedures in place based on these and other mistakes I’ve seen made. When I reread this list, I realize that everything was completely preventable. None of our mistakes were major issues, but when combined together they create an environment that is not conducive to long-term growth. The company may still have failed, but ultimately I’ll never know if it failed because of poor management or because our business model was bad. I think this is the most frustrating part of the whole experience. Hopefully, this list will help you from making the same mistakes. I’d love to hear about your biggest business failures, hopefully, I’m not the only dork that lost money.